I thought that running a half marathon would be one of the most the physically challenging event I would do this year. And it was…until I, in a team of 5 other nutters did the Spartan Super Race last Sunday at Ashburnham Place. Team E20 Tigers - pic taken by our own paparazzi Jorge.A! The Beast, which is approximately 12 – 14 miles (19km – 22km) with 30 to 35 obstacles. The team, E20 Tigers had signed up for the Super. It took a lot of persuasion, the promise of cake and a discount code to get to me to sign up, but knowing that this would be a team effort meant that there would be laughs involved. In an attempt to train for this madness, I added an extra workout out to my normal routine focusing on incorporating weights and upper body drills and burpees (almost) every day in the lead up to Spartan Super. Running 10 miles is a lot different from partaking in a 10 mile obstacle course. We rather ambitiously thought that we would finish the course in about 2 – 2.5 hours. How wrong we were! The fastest male finished the course in about 1 hour 25 minutes, while the fastest female finished the course in about 2 hours 5 minutes. 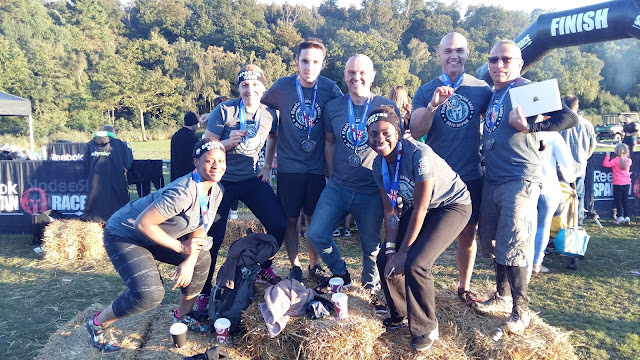 We finished (considering we were a team) Spartan Super in just under 5 hours 30 minutes; it took us about 2 hours 45 minutes to reach the half way mark. 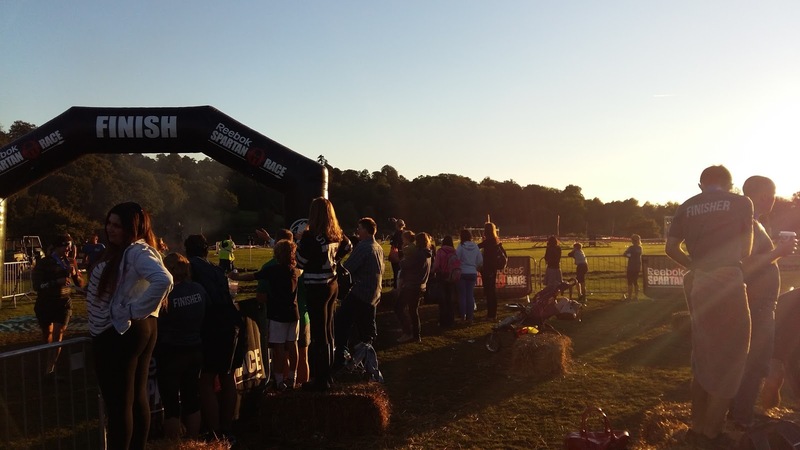 It didn't help that there were queues for a couple of obstacles; there was the option to forfeit the obstacle and do burpees instead, but we didn't want to do penalties unless we absolutely had to. Plus it gave us an opportunity to rest and recoup a bit before carrying on. 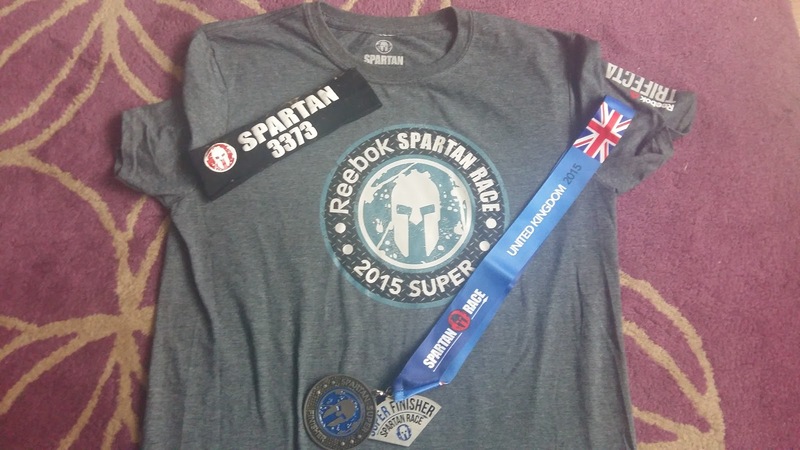 The Race bling is pretty sweet; as is the Finisher’s t-shirt. I would have preferred something a lot more satisfying to munch on rather than a bag of dried fruit. 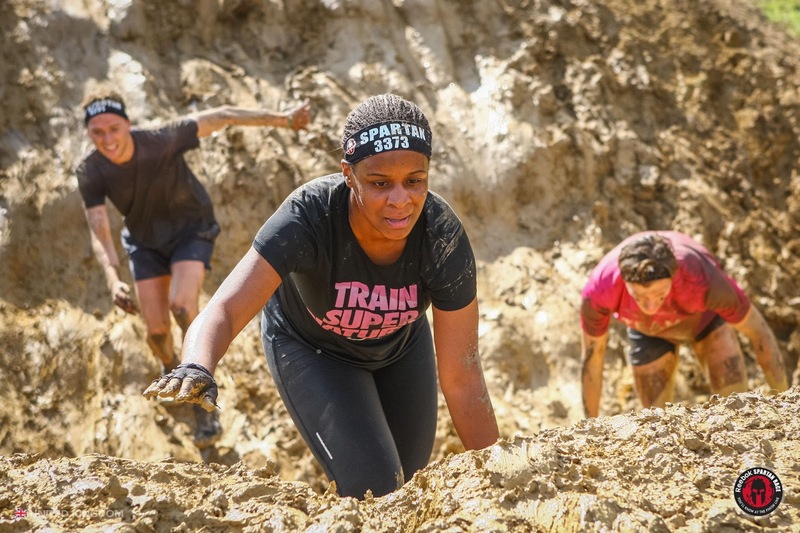 Spartan Super challenged me physically and mentally; I was pushed to my limits. Some obstacles were easier to deal with than others, and at some obstacles (i.e. those that involved swimming) I simply had to concede penalty burpees. Wading through streams was a shock to my system; despite the weather being pleasant, the water was extremely cold, to the point that my legs went numb! Also trying was wading through mud.....a ridiculous amount of mud! With the weather dry and bright, the race organisers had mud brought in especially for the race. My trail running (especially bought for this race) just about survived the ordeal; normal running shoes wouldn't have been able to deal. 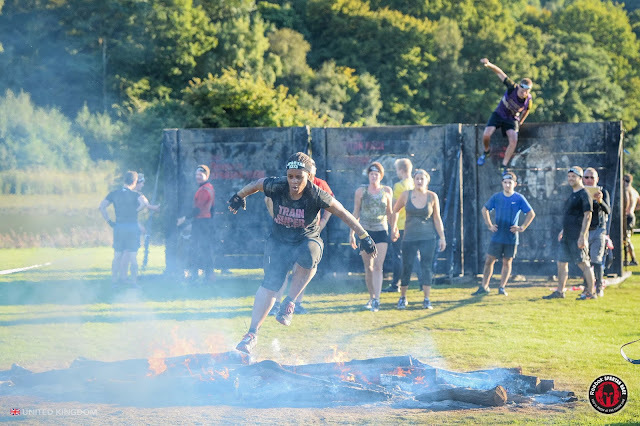 My personal highlight was the fire jump, just before the finish line (makes for a pretty epic profile pic!). 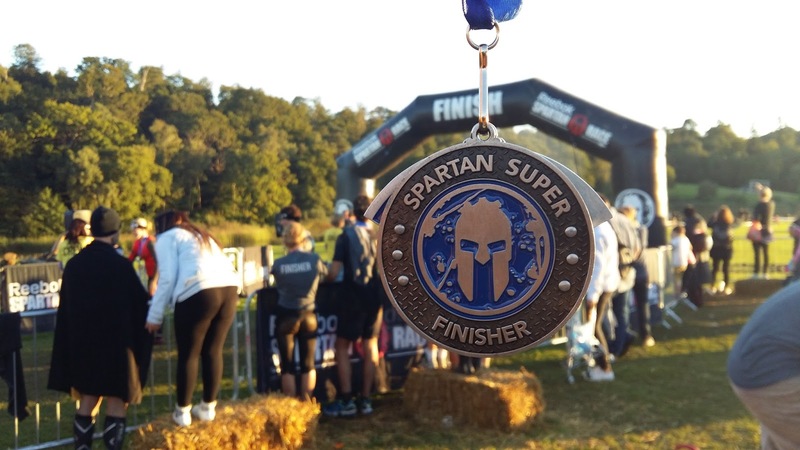 There were plenty of laughs along the way, expletives (mostly from me) and encouraging words which made Spartan Super quite “enjoyable” and at other times just about tolerable (that was when hunger really became an issue!). 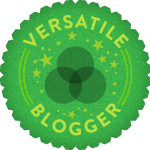 Doing this course with my team really made it worthwhile. I especially want to thank our fellow E20 Tiger Jorge, for following the team around the entire course as an active spectator and being our very own paparazzi! A crazy amount of photos were taken by him (800+) and while he didn't do the crazy obstacles that we did, he did get to do his own fire jump! 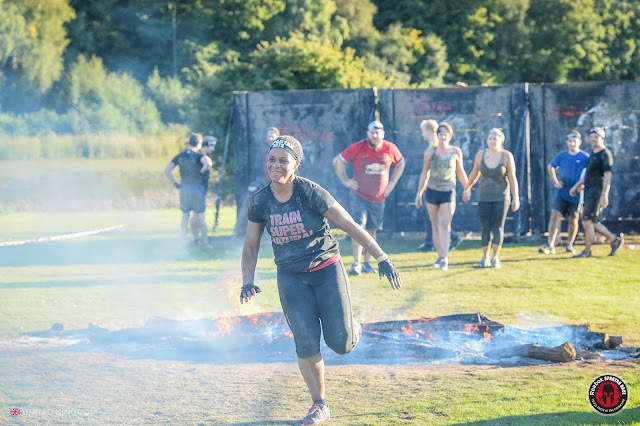 The Spartan Super left me battered and bruised (4 of which are still visible at the time of writing this post), with cuts, grazes and thorns in my right hand (ouch!! ), but I can proudly say that I completed it and I am now a Spartan. Love this! Congrats on completing what sounds like an epic and gruelling race! You've totally made me wanna do another one! You should check out men's health survival of he fittest in November - you can volunteer in the morning then race the last wave free of charge I think! I'm considering signing up!! !